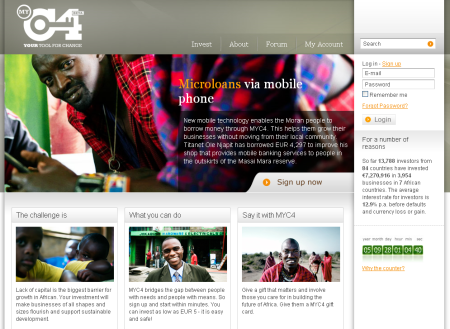 MYC4 a p2p lending platform for micro-loans to entrepreneurs in Africa, today released a new layout. 10 months after the last change the new layout looks more clearly structured. The changes only impact the appearance, there were nearly no functional changes in this release.